To the mods: I couldn't find a better place for this. 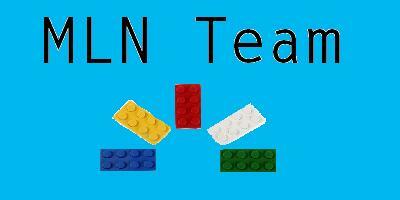 I am sorry to break the news, but I am currently going to retire from MLN. I will have my reeseshop be closing permantly. I cannot get past this current rank. I might come back, but for now, MLN does not need to distract me for now. However, I'll still be active here, and I'll still be doing graphics. Aw, c'mon! Don't give up! I was Rank 5 when I joined MLNT, I made it through! Just block'click every day. Anywho, if you still give up, I hope you auction off all your items (JK). Well, in the good way, your will be doing more usefull thing. MLN is just a game. Now, you will have more time for your graphics. Crackers: I've been busy, And people who are rank five need lots of help, too. MLN is just a game. I may come back to it if I become popular. Yeah, Lots of people are gone. I have better things to do than the very slow MLN. I don't really need clicks now since I'm retired from that. And if I really do an auction selling all my items, they won't go to me. Check you MLN mailbox. I have something that may help you. Tithe wrote: To the mods: I couldn't find a better place for this. Allowing yourself to quit MLN is the key to failure. It is paramount that you persist through the darkest of trials or else you won't make it. It took me several months to get past rank 5, and even more to get past rank 9. The key to victory is perseverance. Never give up, ever.